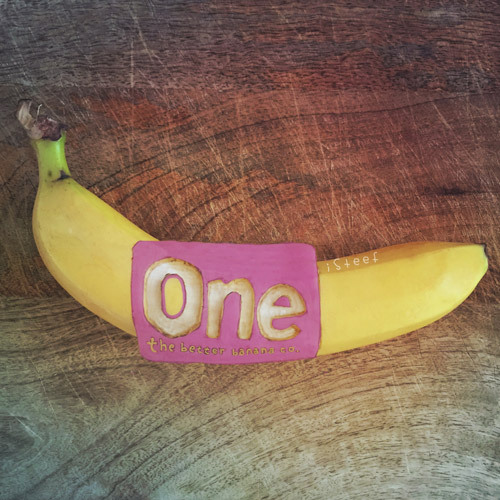 ONE Banana’s motto is ‘one banana can make a chance’. And that’s so true, just look at me. If I never started doodling on that one banana I would have never be doing this! But back to ONE Banana, their mission is to grow delicious bananas in a socially and environmentally resposible manner. So when Maxwell PR asked me to come up with some some social media content for this company I was on board right away. 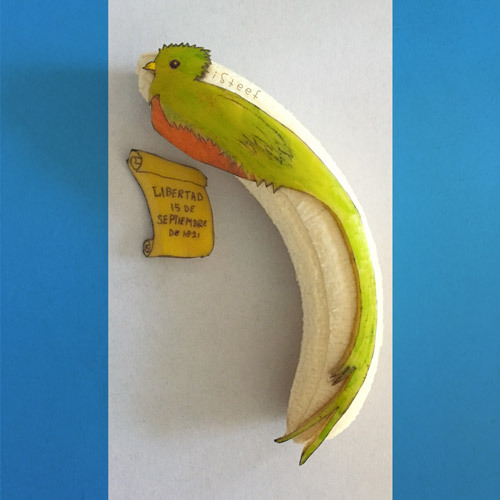 The first request was a rendering of their logo on a banana. And for the second one they wanted me to do something linked to Guatemala, since that’s where it all started. I used the Guatemala flag as inspiration. And since I love to draw animals I chose to focus on the national bird of Guatemala that is featured on the flag, the Resplendent Quetzal. For the third request I was extra excited, because I got to make a short stop motion animation! 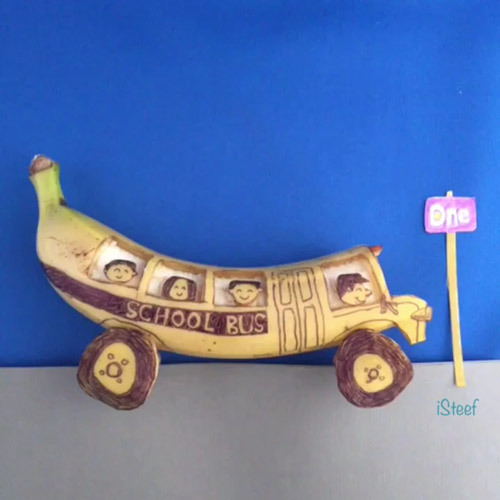 I turned a banana into a schoolbus because when it was about to be posted the schools were starting a new year. But more importantly to remind people ONE Banana has a special program for local schools, sponsoring them with free bananas. We love all of them!! Thanks so much for being willing to work with us.